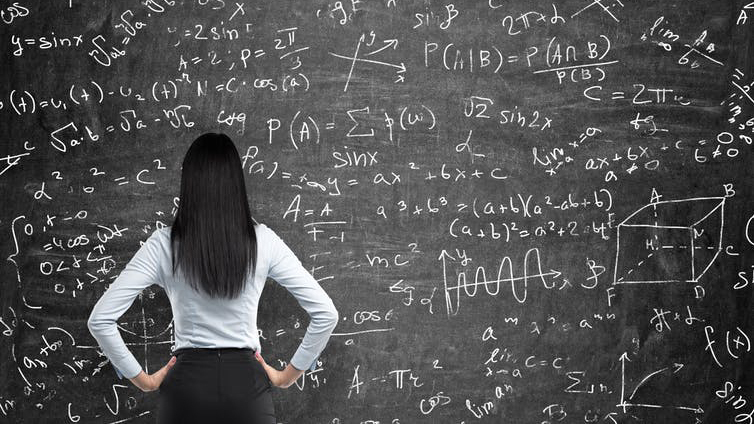 The contributions of women in mathematics have historically been pushed to the side, but more and more stories are surfacing. The 2016 movie “Hidden Figures,” for one, told the tale of the African-American women whose calculations helped launch the astronaut John Glenn into orbit. UO Professor Emerita Marion Walter is one of the few mathematicians to have a theorem named after her: Marion Walter’s theorem, which determines the area of the hexagon created by trisecting the sides of a triangle. She also founded the Boston Area Mathematics Specialists, an organization focused on improving the quality of math education for elementary and middle school children, and authored several books and articles. Walter was born in 1928 to a Jewish family in Berlin. Just before the outbreak of World War II in 1939, she and her sister were evacuated to England. After graduating from secondary school, Walter taught math to students aged 5 to 16 for two terms. She was only 16 years old herself and soon moved on to study mathematics and education in London and New York City. She eventually earned her doctorate in mathematics education from Harvard. Walter taught at Simmons College in Boston before moving to the UO in 1977. One of Walter’s most significant books is “The Art of Problem Solving,” which she co-authored with mathematics educator Stephen Brown. “Marion’s major mathematical line of study has been problem posing — the art of asking and refining mathematical questions,” Ruef writes. Ruef’s research focuses on issues of social justice and equity, including studying how students identify themselves as “being good at math,” and the ways that students and teachers learn to make sense of mathematics and construct convincing and powerful arguments.